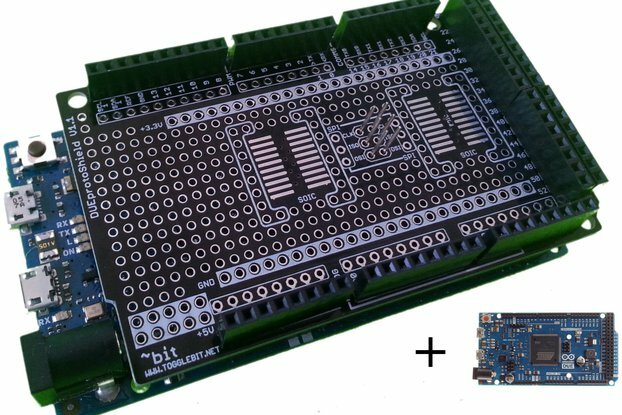 Want to plug an Arduino or a Shield into a Breadboard? Now you can. This is one of those handy little things you always want to put together, but you never quite get around to it. Well, I finally did. If you've worked with the Arduino at all, you know they have one row of holes nicely spaced on .1" centers and another row of holes that are off by enough to make it not fit into a breadboard. There are lots of ways around that, but they are mostly ugly. 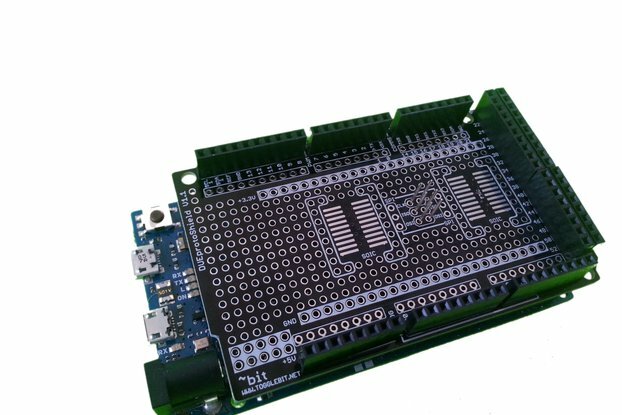 These boards are a neat and durable solution. 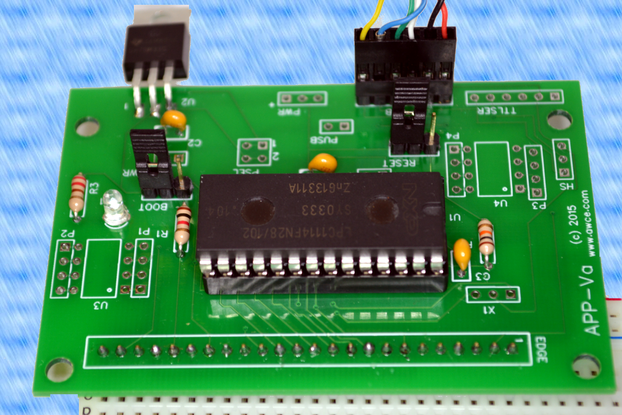 Depending on how you put the headers and how your board is setup, you can plug into Arduino headers and then plug into the breadboard, or you can put them in a blank board directly and flip the Arduino right side up. You can also put the headers in so that you can mount a shield on the breadboard. There's no manual for these yet. (But do you really need one? )You solder the pins in the way that works for what you are trying to do (hint: trial fit them first). You can also use female headers, but you'll have to get those yourself if you want them. You could even use 0.1 inch center screw terminals (also, not included). 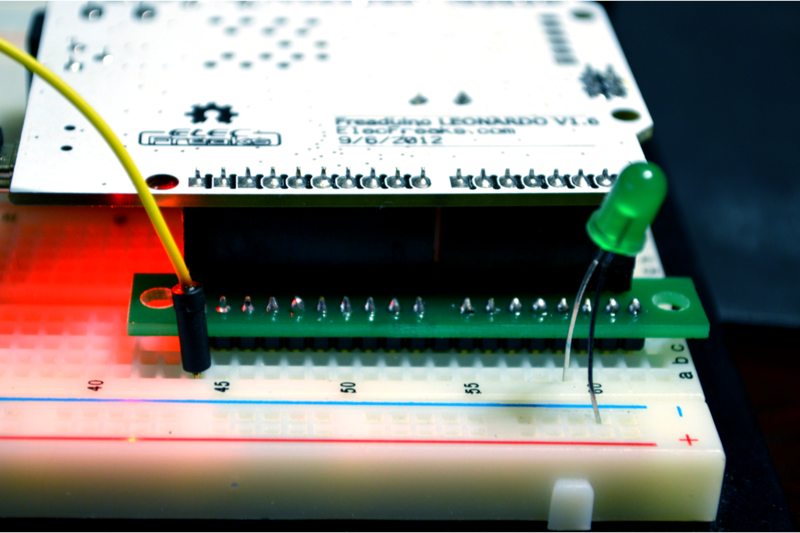 The pictures show one side of a Leonardo board plugged into a breadboard and the other picture shows an LCD shield. 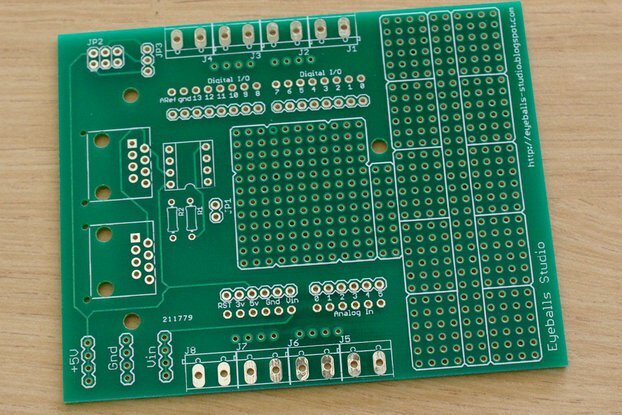 In the case of the Leonardo, the pins can fit into existing sockets or you can solder them to the PCB if you prefer. When these are gone, I may or may not do more depending on demand, so if you really want them, you probably ought to grab them up now. You can probably figure out that these would work for anything that is Arduino compatible, too. 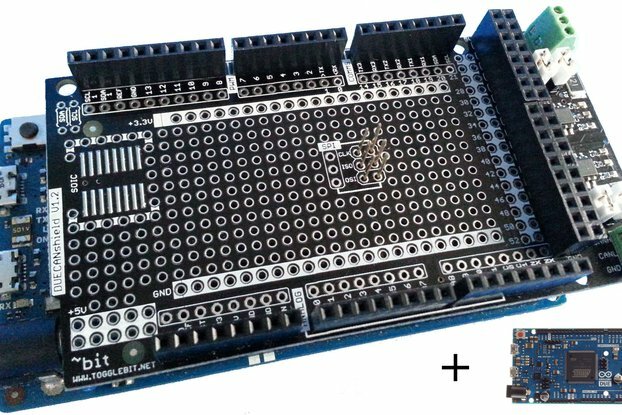 For example, I've used them with the Freedom mBed boards, but you only get the Arduino-compatible pins, not the extra pins on the board. These will ship first class mail to the US so the shipping and domestic shipping is included in the price.